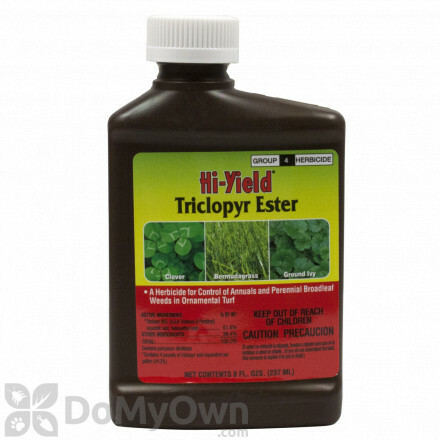 Triclopyr as an active ingredient is a systemic foliar herbicide, which means it is applied to the foliage of a plant and then travels down to the roots. Triclopyr is used primary to control broadleaf, woody, and herbaceous weeds while leaving grasses and conifers unharmed. A chemical with this ability to kill certain undesirable plants without harming those around it is called a selective herbicide. A professional selective post-emergent herbicide that controls actively growing perennial and annual grasses and broad-leaf weeds. 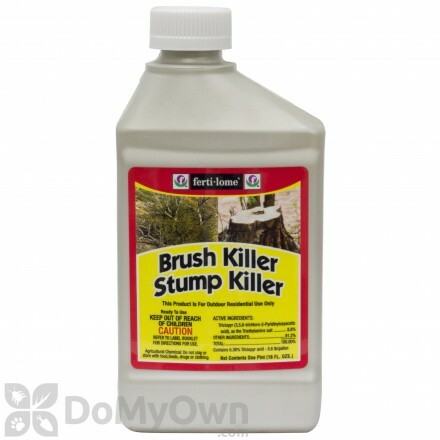 Prevents cut vines and bushes from re-sprouting. 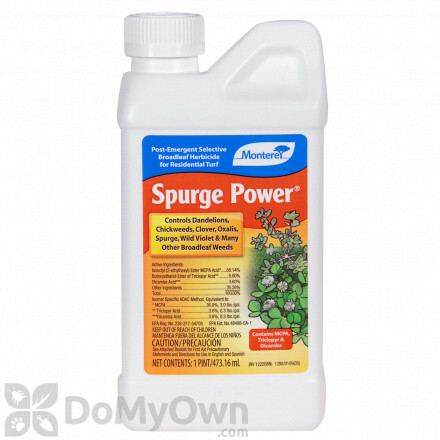 A selective post-emergence herbicide that controls spurge, clover, ground ivy and other broad-leaf weeds in cool & warm-season lawns. 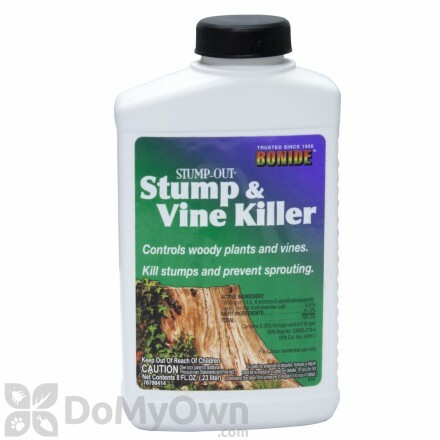 A non-selective post-emergent herbicide that controls woody plants, vines, stumps, poison ivy and more. A professional selective post-emergent herbicide that controls annual and perennial broad-leaf weeds in commercial cool & warm-season turf-grass and sod farms. A selective post-emergent herbicide that controls over 200 varieties of weeds for residential cool & warm-season grass. A professional selective post-emergent herbicide that contains Triclopyr, Fluroxypyr and MCPA and contains no 2,4-D for cool & warm-season grasses. A non-selective post-emergent herbicide kills stumps, wild berries and kudzu, and dangerous plants like poison ivy and poison oak. A selective post-emergent herbicide that kills broad-leaf weeds with Triclopyr, MCPA, and Dicamba in cool-season grasses. A professional selective post-emergent herbicide designed for cool-weather weed control and dormant warm-season grass on commercial and residential cool and warm-season grasses. A non-selective post-emergent herbicide that controls brush and vines like poison oak and ivy, plus kills tree stumps and prevents sprouting. A selective post-emergent herbicide that controls annual and perennial broad-leaf weeds and Bermuda-grass in cool season grasses. 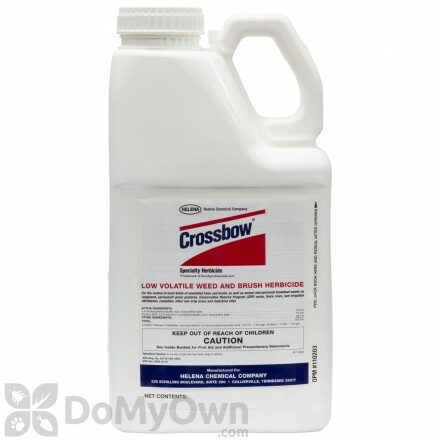 A liquid herbicide that kills chickweed, clover, oxalis, including ground ivy and wild violet for home lawns. A professional post-emergent herbicide that provides broad-leaf weed control in established, non-residential cool and warm-season grasses. A professional selective post-emergent herbicide that controls broad-leaf weeds for commercial and residential lawns, athletic fields, golf courses, cemeteries and parks. A professional selective post-emergent herbicide for board-leaf weed in coo & warm-season grasses. 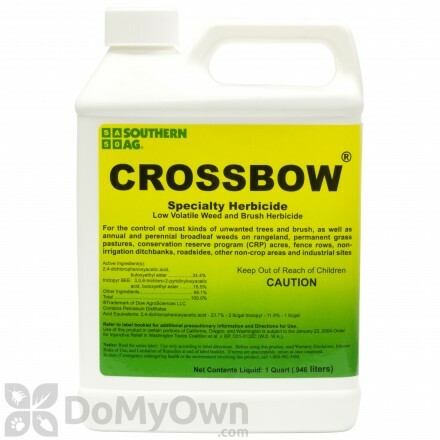 A non-selective post-emergent herbicide that kills over 60 types of the toughest weeds, including poison ivy and tough brush. Triclopyr herbicide products are labeled by the EPA with the signal word "Caution" which translates to low toxicity. It is also a Group D chemical which means it is not classifiable as a carcinogen. It is non-toxic to bees but highly toxic to fish. The effects of Triclopyr mimic that of plant growth hormones, interfering with the normal growing process. It is absorbed by leaves, roots, cut stems or green bark and moves through the plant to accumulate in the growth region of plant where it is able to disrupt further growth. Triclopyr is registered for use on rice, pasture and rangeland, lawns, right-of-ways, and forests.